The Wilderness is a place that leaves a person breathless, anxious, and fearful that a new day will never dawn. 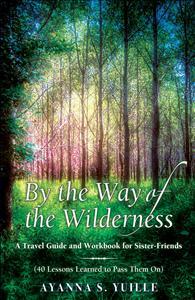 In this book, Ayanna will not only be your Wilderness Guide, but also an invaluable Sister-Friend. She has not forgotten the way by which she has traveled and shares her most valuable lessons learned in an open, honest, and often humorous fashion. This book, developed through the crucible of time, will inspire you, challenge you, and compel you to travel boldly and faithfully on your journey to the Promised Land – even if God brings you By The Way of the Wilderness.